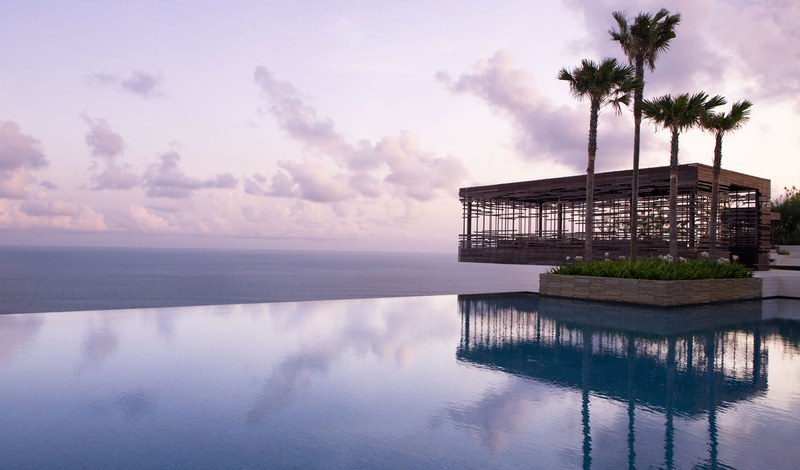 High up on the limestone plateau of Bali’s Bukit Peninsula sits the Alila Villas Uluwatu. 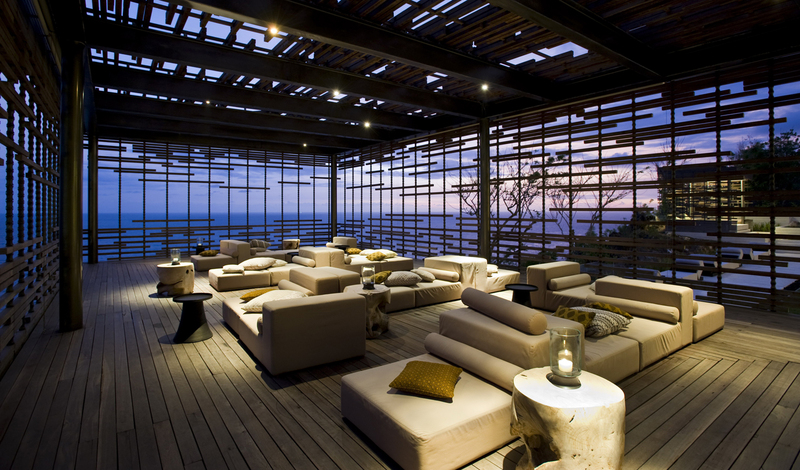 An eco friendly hotel where dramatic, modern design blends in with the natural surroundings of the Indian Ocean and stunning Indonesian scenery. Relaxation is top of the list here, whether it be chilling out around the 50 metre infinity pool or heading for a cliff top cabana for a slap up (and utterly gourmet) dinner. Relax in the cliff top pool and bar where you really will feel on top of the world and reach new heights as you dine 70 meters above sea level where fresh and organic ingredients are cooked using Western techniques producing a culmination of east and west in one dish. Just half an hour from Bali’s international airport The Alila Villas are perched high atop the cliffs of on the high cliffs of the beautiful Indonesian island of Bali. With a view of the Indian Ocean as far as the eye can see, it is the perfect place to escape the stresses of modern life and immerse yourself in the calm and serene Asian lifestyle that we really need to take a few ideas from. You know a great hotel when the design allows the outside world to flow seamlessly within the inside one. Alila Villas Uluwatu’s 65 pool villas are all about private space, incredible comfort and views. Although the design is distinctive, this is not at the expense of the surroundings as the open-plan design incorporates lava flat rocks and bamboo ceiling to make you feel at one with the breathtaking views. Admire them from your bathtub, private pool or your outdoor shower – choosing where to start is likely to be the hardest part of your stay. Bukit’s dramatic, savannah landscape is the inspiration for the resort’s design and accordingly, the Alila Villas Uluwatu achieves a harmony with nature palpable to all who stay there. Gorgeous interiors blend contemporary style with local Balinese accents. The open-plan design, unique flat lava rock roofs and bamboo ceiling allow the gentle sea breeze to flow in freely, while from the bed to the bathtub, every view is open to the outdoors.